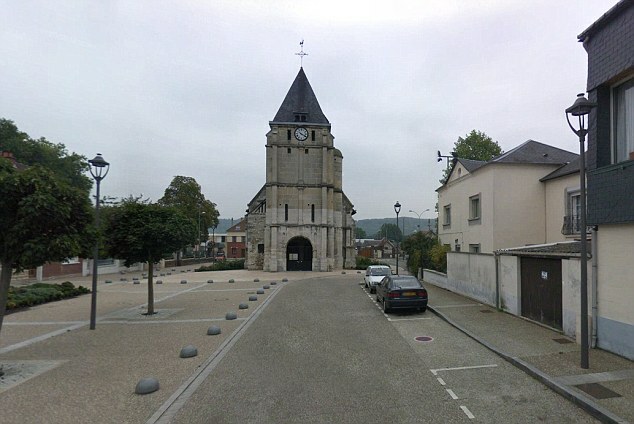 A priest has been killed in an attack by two "Islamic" knife men at his church near Rouen in northern France, police and French media have said. The armed men entered the church in Saint-Etienne-du-Rouvray during Mass, taking the priest, two nuns and several churchgoers hostage, reports said. French TV said shots had been heard after police arrived at the scene. Both hostage-takers are now dead. At least one person is receiving medical treatment for injuries.